If you shop at Sam's Club, Costco, Safeway, WinCo, or any other large retail grocery chain, you have probably seen rotisserie chickens in the delicatessen section of the store. Some places (I won't say who because I'm not promoting any one name) boast a price of $4.99 every day. Some have a $5 buck Friday. At any rate, if you can get someone else to do the cooking and take home a moist, tender, tasty chicken ready to eat, that sounds like a pretty good deal, doesn't it? And it's certainly better nutritionally and from an economic standpoint than opting for a sack of hamburgers and greasy fries for a fast dinner. That rotisserie chicken doesn't have to be just one meal. Do you use every part of that chicken, or just slice off the breast, thigh, and leg portions and toss the rest of it into the trash? If you end up throwing half of it away, you're missing out on so many cheap (or cheep, pardon the pun) and yummy bits. Let's take a look at a few suggestions on how you can use "the whole bird." ...you will have leftovers. Little bits of chicken clinging to the carcass. Slice (or pick) them off and place in a zip-lock bag. If you have 2 cups of meat, you are ready to make another meal. If not, then just save what you have and pop it into the freezer. 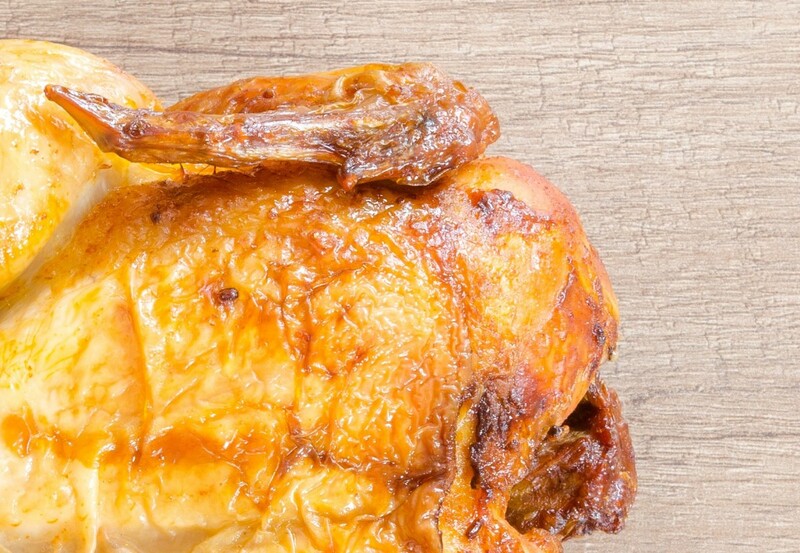 The next time you purchase a rotisserie chicken, do it again. And again. When you have at least 2 cups of meat, come back here—there are so many things you can make! Do you eat the wings? On a rotisserie chicken they are typically pretty small, but don't throw them away. Put them in a stock pot. After you've eaten the meat from the drumsticks and thighs, put those bones in there too. And the carcass? After you've removed all the little bits of cooked meat (see above paragraph), put that in the pot as well. What's next? Well, toss in two carrots (you don't have to peel them), a stalk of celery, and an onion. Cut it in half, but you don't even have to remove the skin. Add tap water to cover, set on the stove at high heat; bring to a boil and then lower the heat to simmer (lowest heat setting), put on the lid and let it work. Four hours at least, all day is best. Don't have that kind of time? Use a crock pot. Or save everything in a freezer-safe container until you do have the time. After cooking strain out the solids; what's left is chicken stock. This is golden! The perfect base for soups, casseroles, gravy, stir fry. Any recipe that calls for a can of chicken broth is the perfect use for this. And guess what? It's low sodium, low fat, costs only pennies, and you made it yourself! Store it covered, in the refrigerator for up to 3 days, or store in the freezer for use later (within 3 months). I like to pour mine into ice cube trays or muffin tins so that I can take out exactly what I need and keep the rest in the freezer. Stir in noodles and then reduce heat to medium. Cook, stirring occasionally, until noodles are cooked (they will be soft, but not mushy). Stir in chicken, simmer for 2 to 3 minutes to heat chicken. Add salt and black pepper to taste. Remove bay leaf and serve. The SixSisters (yes, they really are sisters, and there are six of them) have a great blog where they share tried and true family recipes. 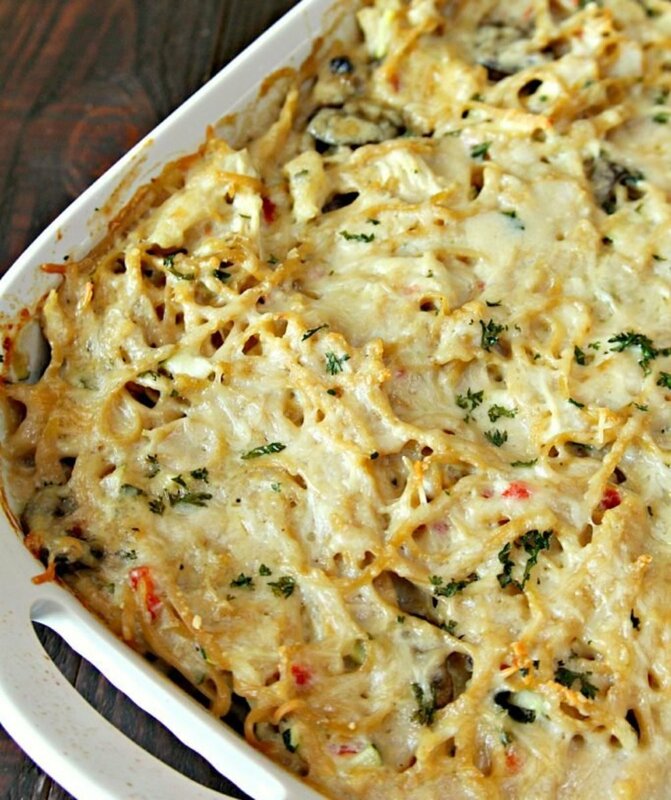 Their chicken tetrazzini uses rotisserie chicken and stretches 4 cups of diced cooked chicken to feed a family of 10. Use store-bought fresh pesto for this recipe, or click on the link below to find my home-made version. Grease two baking sheets with olive oil and set aside. Divide dough into two balls and roll each out to a 12-inch circle. Ease into prepared pans. Top the dough evenly with garlic, then spread the pesto on top. Add the chicken and mushroom slices then sprinkle on the cheese. Bake for 12-15 minutes. Place cooked macaroni, chicken, celery, walnuts, pickles, onion, eggs, and olives in a large mixing bowl. Toss gently to combine. Combine mayonnaise, mustard, salt, and pepper in a small mixing bowl; stir to combine. Pour salad dressing over macaroni/chicken mixture in large bowl. Toss gently to coat all ingredients with the dressing. 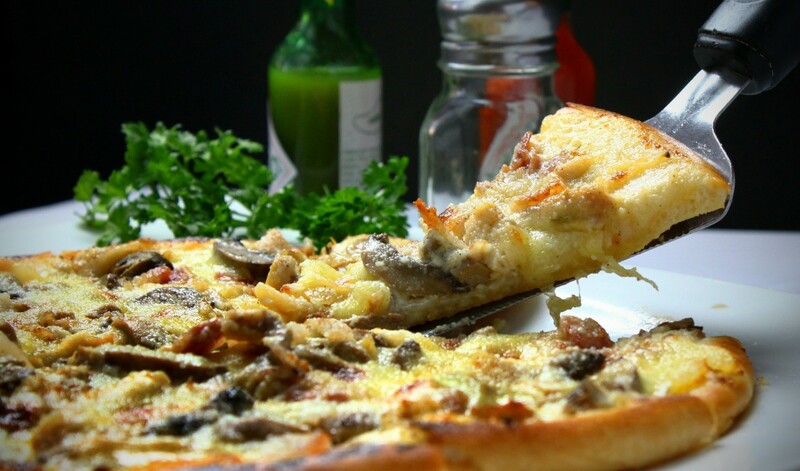 This one has been popular as a pizza; why not try it in a tortilla? 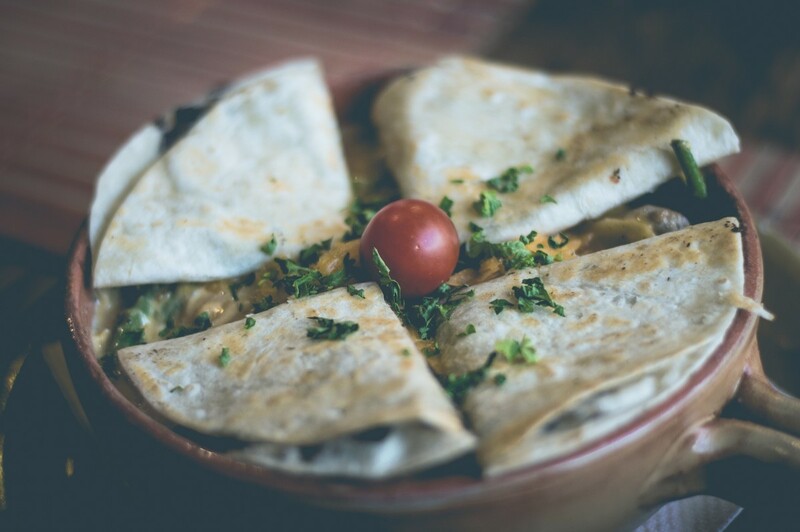 Take a fresh tortilla, place a generous amount of chicken, crisp bacon, and shredded cheese on it. Fold it over as you would a turnover. Place in a hot, ungreased skillet and cook lightly, turning often until the cheese is melted. Drizzle with ranch dressing and garnish with green onions. 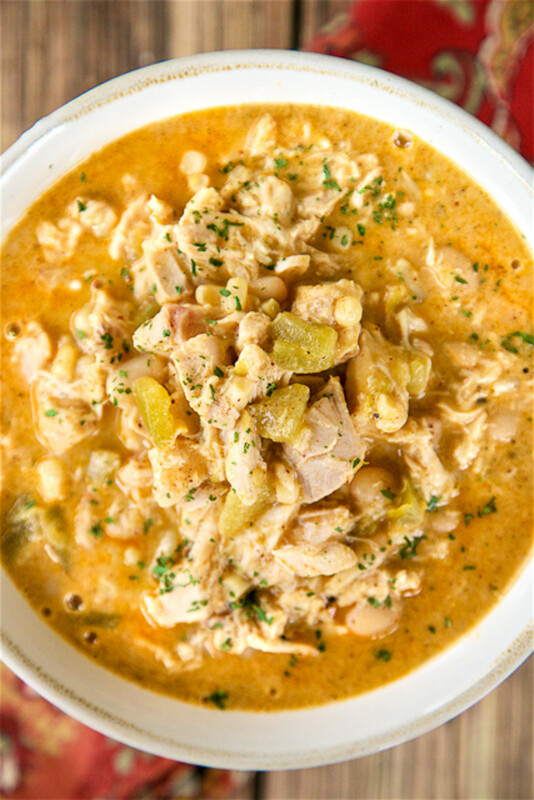 The author/creator of the blog PlainChicken.com created this white chicken chili that takes only about 10 minutes to put together. This recipe uses a whole rotisserie chicken, but it can easily be cut in half. 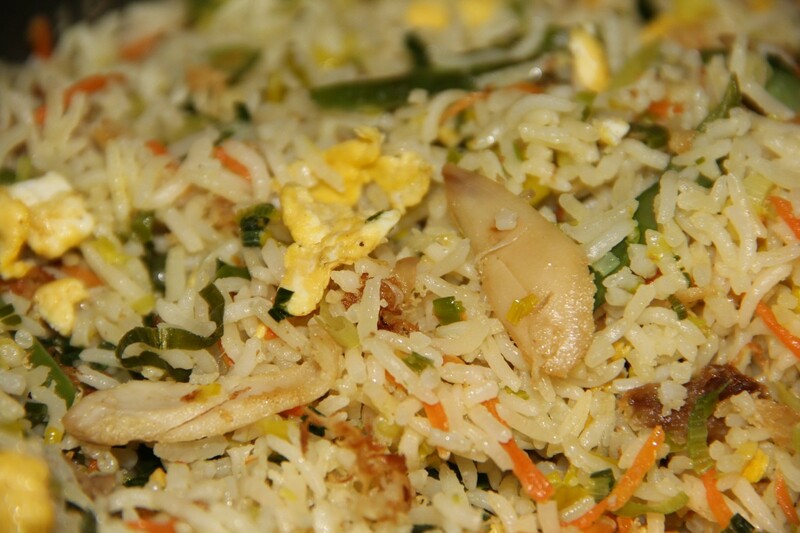 Believe it or not, cold leftover rice works better than having a fresh pot of new, hot rice. Heat one teaspoon of the oil in a large shallow pan or wok over medium-high heat. Add the chicken to the pan; cook and stir about 1 minute to warm. Remove from pan and set aside. Add another teaspoon of oil to the pan. Stir-fry the veggies about 1 minute until heated through; add the garlic to the pan and stir and cook until fragrant, about 20 seconds. Push to the side of the pan. Add the third teaspoon of oil and add the beaten eggs to the center of the pan. Stir quickly to scramble. Add the rice to the pan along with the chicken, and push the veggies back into the center. Cook and stir gently but constantly. Drizzle in the soy sauce and cook until all is heated through and evenly distributed. A whole chicken—if you are patient you will one day be rewarded by a sale; grocers often sell whole chickens for less than one dollar per pound. 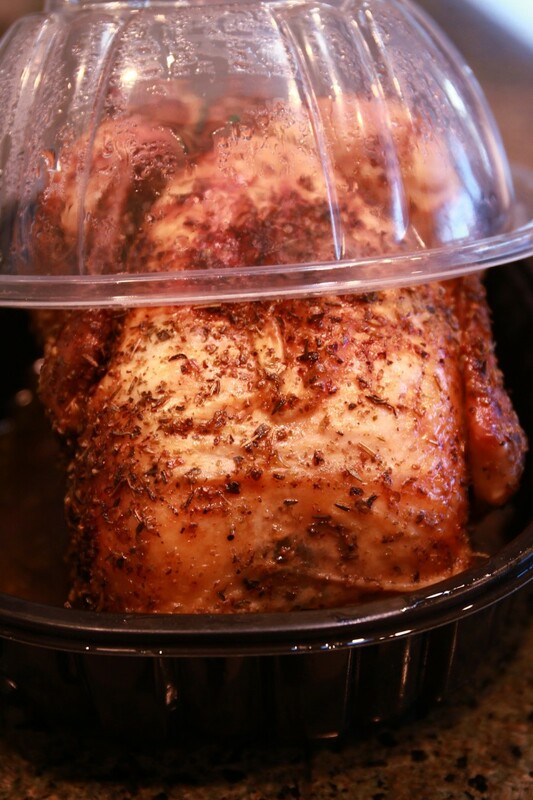 Purchase a 4-pound bird and you are on the way to having a rotisserie chicken that is even less costly than the $4.99 bird at the "unnamed" wholesale outlet. Yes, you can make this at home. The secret to that succulent chicken isn't a barbecue spit; it's the slow roasting and the seasoning. Here is how to get the same taste in your own kitchen. Combine all of the dry ingredients in a small mixing bowl and set aside. Clean the whole chicken—remove the giblets (the liver, gizzard, and heart which are probably in a small bag within the chicken) and the neck. Rinse, drain, and pat dry with paper towels. Place the quartered onion into the cavity of the chicken. 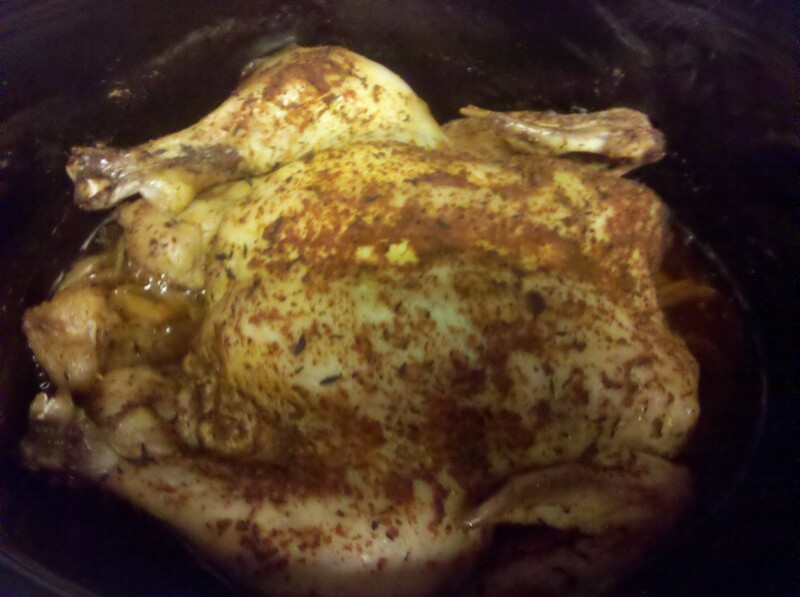 Rub the dry-seasoning mix onto the skin of the chicken. If you can loosen some of the skin from the breast and rub some of the seasonings under the skin, this would be even better! Place chicken in a roasting pan. Bake uncovered for 5 hours. That's it. You've just made your own rotisserie chicken, without the rotisserie. 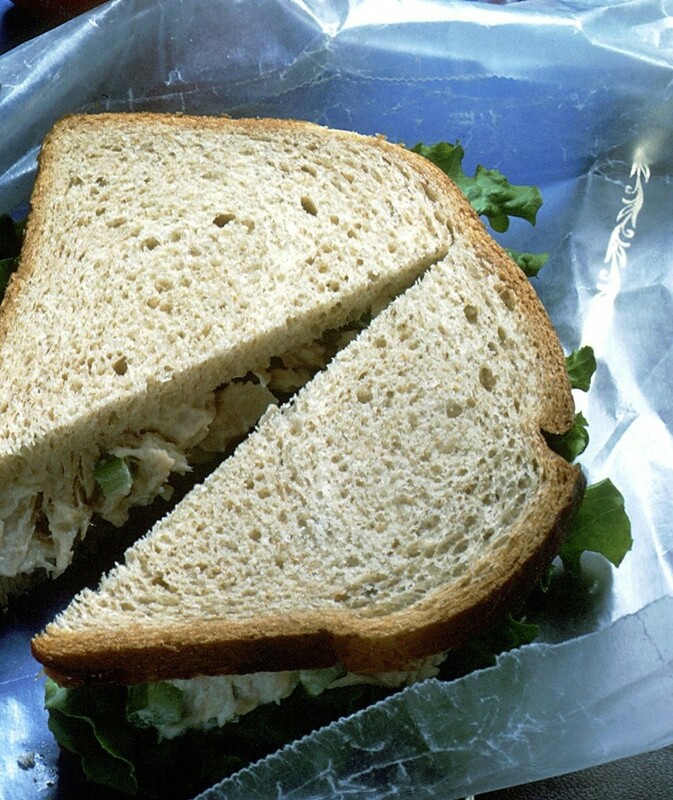 It's fresher and cost less than the one you buy at the deli, and you did it all by yourself. Don't you feel proud? 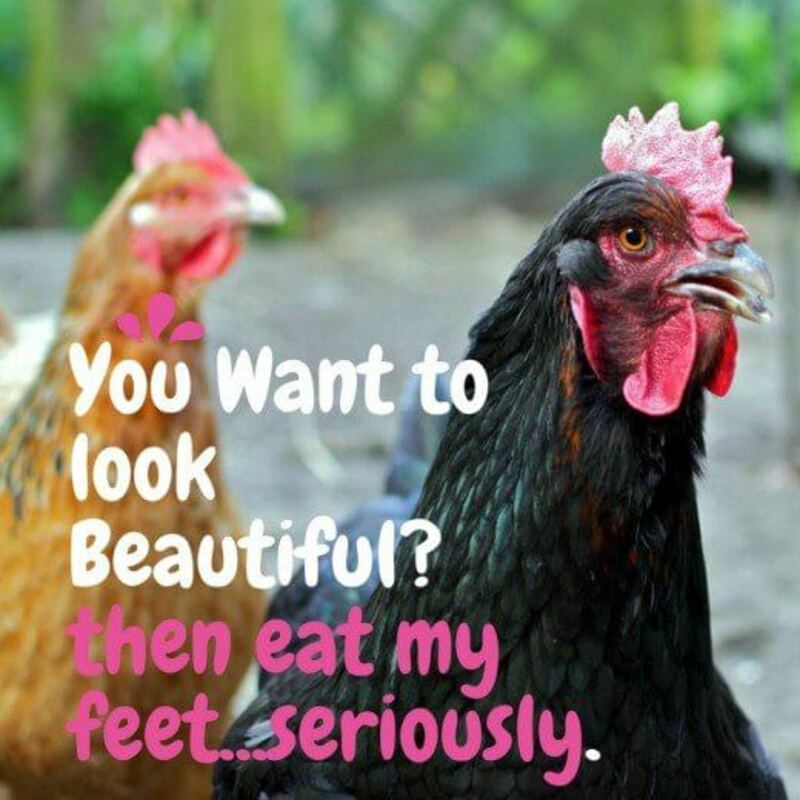 Good morning Shauna - I hate to admit how often we eat chicken (probably 4 times a week, but who's counting) and it's exactly because (as you said) it is so versatile. Tonight it's stroganoff, a couple of days ago it was a non-rotisserie chicken (the recipe here) and the leftovers became the quesadillas. Hope you have a wonderful weekend. Chicken is such a versatile protein. I love all the ideas you bring us in this hub, Diva. I used to make my own chicken stock (and vegetable stock) all the time, but since I don't cook much anymore, it's been a while. I love your rosemary chicken salad recipe. I put sliced grapes and walnuts in mine. Shaking up the textures is a real taste buds pleaser! I love rosemary with poultry. Pork, too. Lena - So, I'm curious, how does the sharing of the turkey broth work? Or, do you get to keep it for yourself? I'm glad your friends are recycling. And I'm really glad to hear that you are on the band wagon for roast chicken. There are so many things you can do with it. You can use it breakfast, lunch or dinner; you can make soup, salad, appetizer, or main dish; you can go Asian, Latin, Mediterranean...the only limit is your imagination. I often roast a whole chicken and then we eat it for several dishes throughout the week. I'm always preaching the gospel of homemade stock; I've even had friends drop off their turkey bones after Thanksgiving for me to make broth from! Eric comments like yours just simply make my day. Thank you so much. Rachel - The rosemary chicken salad is really quite good. (BTW it's in my cookbook). We're having one of those salads today in fact since the temperatures are supposed to get near 100 degrees F. This is NOT cooking weather. Linda I just cannot imagine how you can go any higher in your articles and then boom you break the ceiling again. I liked your little bit new format. I will use it. I am thinking eggs and "poblano" peppers. Maybe a layer deal almost lasagna type breakfast food. Just last week I had a near fluid fasting day - just so I could indulge in the chicken skin. In that my wife is Vietnamese she tries to steal my plate before I am done eating so she can start on her Pho'. Thank you for adding richness to life. "Variety is the spice of life". Hi Linda. My sister loves those chickens from Sam's Club. I'll have to show her this hub. She'll love it. I don't have a card so I don't go there, but I think I'll borrow hers. lol I love the Rosemary Chicken Salad recipe. Thank you Lawrence. Yes, you and John are dreaming of comforting bowls of soup and billybuc and I are searching for a bit of shade. We're having a heat wave. Would trade you places about now. I saw this and just had to read 'right now' as chicken is often on our menu. 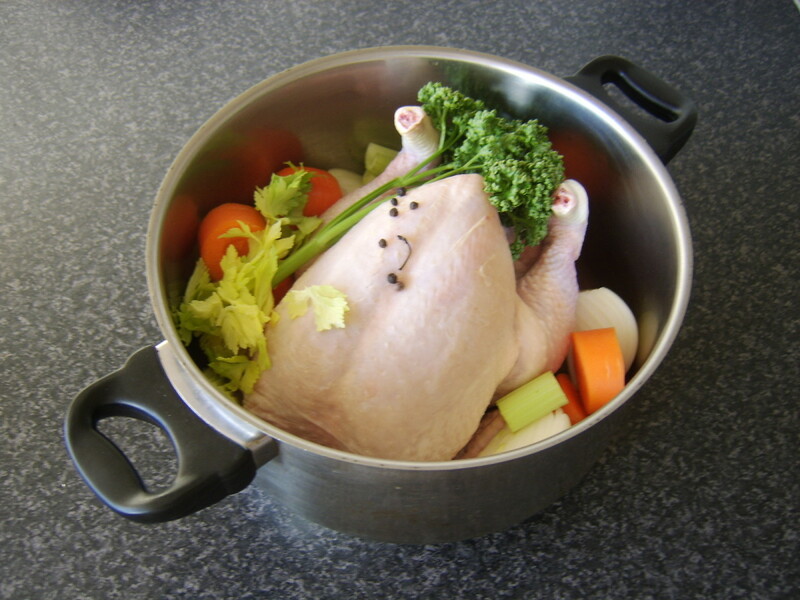 I often roast a 'chook' at the weekend and we usually get at least one other meal out of it, either lunches during the week (chicken sandwiches) or like John a lovely chicken noodle soup. Great recipes. Yes, Winter nights here are chilly so a hot bowl of chicken soup would go down very well. Thanks, Linda. RoadMonkey - How lovely. My paternal grandmother was born in Ireland (not Northern Ireland) and my paternal grandfather in England. I still have family in Manchester. I would love to go back some day. Lori - That's funny! I'm glad you found some new ideas here. Have a great weekend. Flourish - That's the way I was brought up. We save everything--even a few spoonfuls of spaghetti sauce are kept in the freezer. Save them often enough and you have a "new" batch. (And my husband wonders why it never tastes the same way twice LOL). Check my blogpost for 3/11/17. Fabulous. I love rotisserie chicken and do often save the meat for things but you've given me some good ideas. I wish you could hand me a towel so I can wipe off the drool. Thanks for the ideas. Linda Lum, I am from Wales and married into Northern Ireland, so my children and grandchildren were all born here and have Celtic roots. These look easy as well as yummy and I like that nothing gets tossed. RoadMonkey - I come from very frugal roots, nothing goes to waste. I love soups cooked with barley, lentils or other dried legumes. Very hearty. You live in Northern Ireland? We could be kindred. Great recipe ideas. It would break my heart to throw half a chicken out! 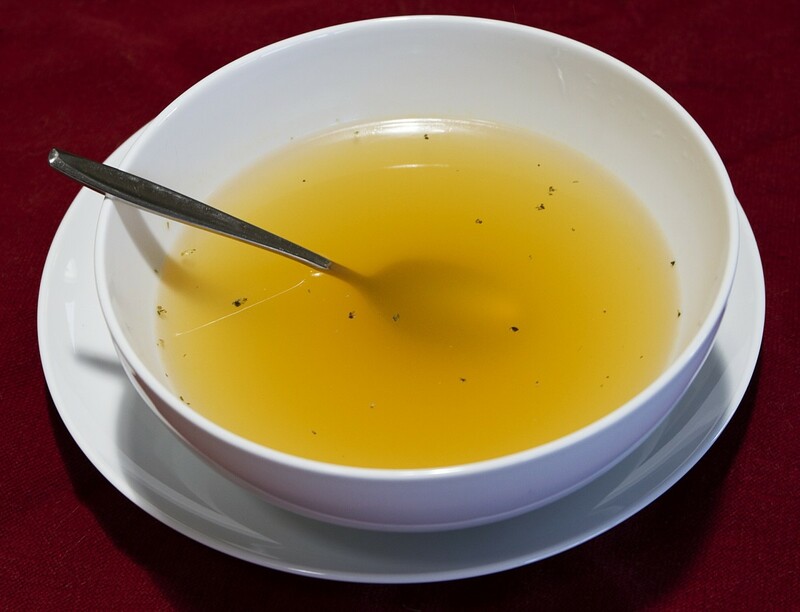 When I make chicken stock, I add 2 tablespoons of apple cider vinegar and a bay leaf to the water in the slow cooker. I don't add any veg. I have been glad to have frozen stock ready in my freezer when my greengrocer had some overripe veg or when my daughter was throwing out perfectly good veg items that were a little bruised. Here in Northern Ireland, we would add soup mix to the vegetable soup instead of noodles. It's a mix of lentils, dried split peas and barley. I cook it alone in water, no salt for about 30 to 40 minutes, then add to the soup. Salt toughens some of the items so they don't soften but once cooked, they are fine. Bill, I sense that I've finally made you smile. Winner winner chicken dinner! 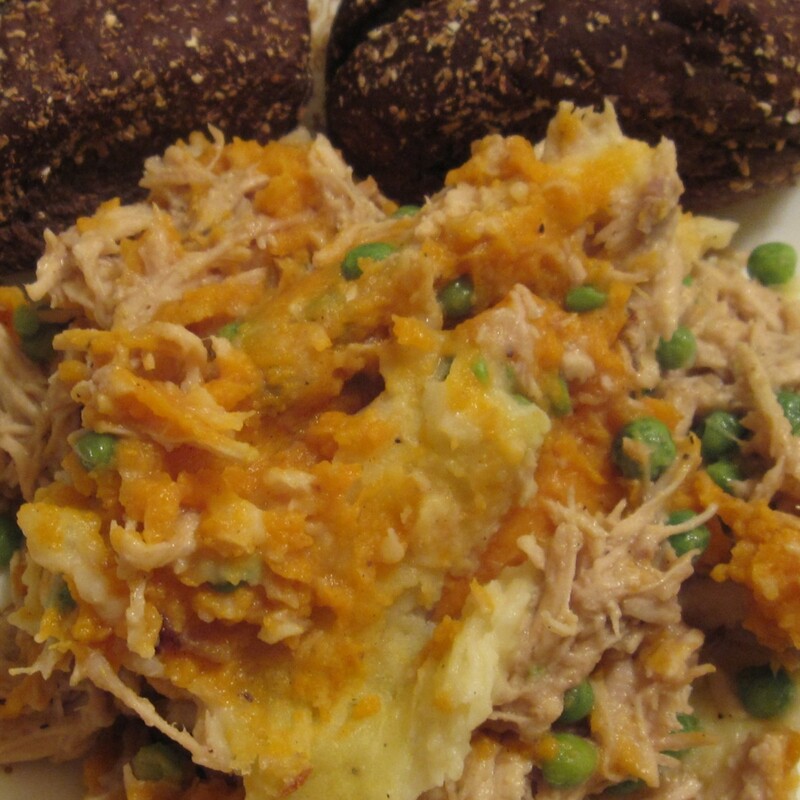 Next time you have some leftover chicken, I hope you'll give one of these ideas a try. Fullerman, I could go for a honey mustard chicken wrap about now, and a smoked chicken sounds amazing. You're a lucky fellow to have something like that available. I'm feeling like it's a bit to warm today to think of gumbo (supposed to hit the mid 90's today), but you've got me thinking about the future. Everyone has their own version of gumbo--if you have a recipe you're willing to share I would love to see it. Thanks for stopping by. 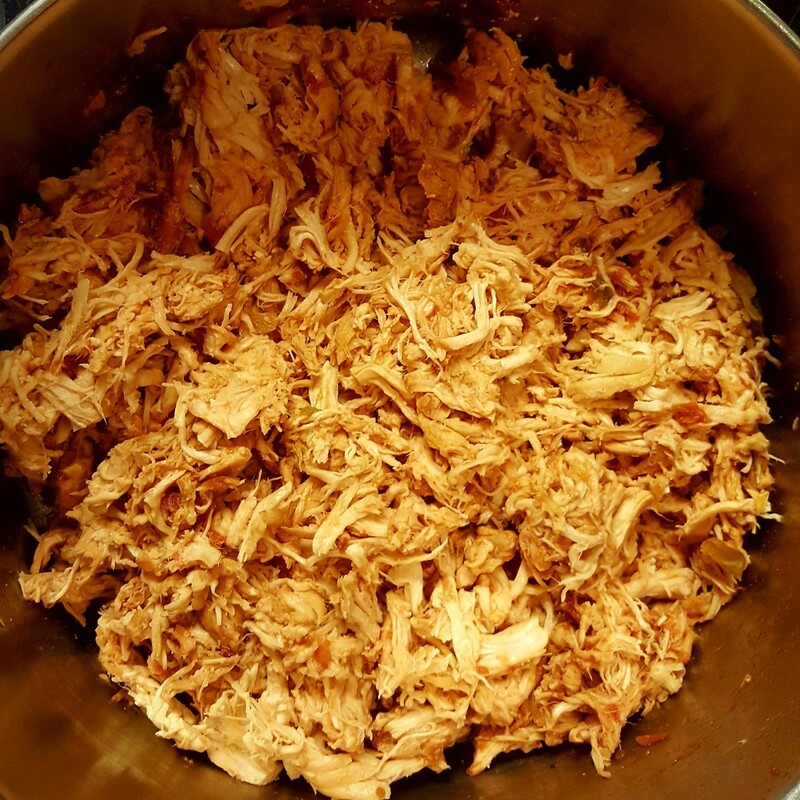 Linda, I advise no one to read this article on an empty stomach or they won't get through it without needing to go out and buy a chicken :) chicken is such a versatile meat and can be used in so many dishes. It is a shame to waste any (even the bones) and you offer great tips and recipes for use of the entire chicken. Great job. I am a sucker for these deli chickens. So inexpensive and can go a long way. When I have leftovers, I sometimes make a chicken honey mustard wrap. 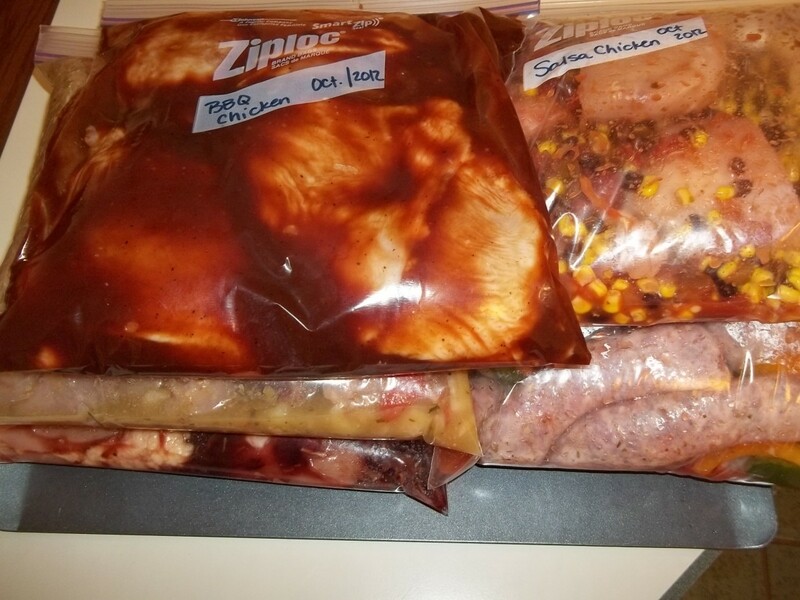 I also find that these deli chickens are great for when I make chicken and sausage gumbo. 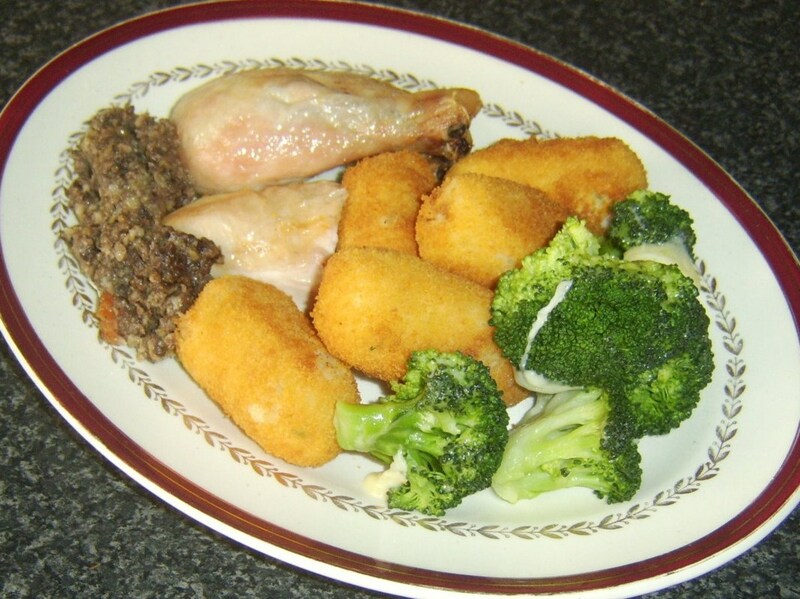 Saves me some time too plus it is a good mixture of dark and white meat. There is a grocery store near me that sells these types of chickens rotisserie or smoked. I always get the smoked ones for my gumbo. Great ideas, thanks for sharing. NOW WE'RE TALKING! Linda...I love me some chicken...chicken in all forms...chicken with anything...chicken, chicken, chicken...love me some chicken!!!!!!! Have a cool day, my friend. Pretty unusual when we're hotter than southern California, so get that fan going and let the sweating commence.